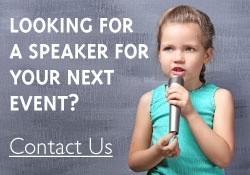 David Elkind, PhD, is the best-selling author of more than twenty books and a well-known early childhood expert who has appeared on shows including The Today Show, CBS Morning News, 20/20, Dateline, and The Oprah Winfrey Show. 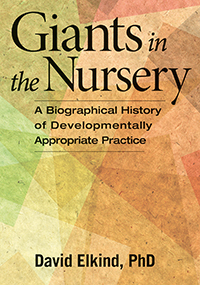 His latest book, Giants in the Nursery examines the evolution of developmentally appropriate practice in a biographical history of early childhood education. Learn more about David, his work with Piaget, and more, below. You have done so many different things, can you share a brief timeline of your educational and professional life? In retrospect I have had three careers. The first was as a clinician, the second as an academic and the third as an author/lecturer. These careers are not mutually exclusive and have always overlapped but each dominated a certain period of my life. I got my Ph.D. degree at UCLA in clinical psychology in 1955 and in 1956 took a NIH postdoctoral fellowship with David Rappaport, a noted Freudian scholar, then working at Austen Riggs, a residential treatment center, in Stockbridge MA. Riggs was an exciting place to be. It had many famous patients at the time, including actress Margaret Sullivan and Playwright William Inge. Erik Erikson was on the staff and illustrator Norman Rockwell’s studio was across the street from the Riggs Complex. Surprisingly Rappaport, instead of having me read Freud, wanted me to study the work of Jean Piaget. I was intrigued because Piaget used clinical methods to do research with children on meaningful subjects, as opposed to the empty experimental rat psychology that I had been taught. I began replicating his studies and was turned from a skeptic to an ardent advocate. From 1957 to 1959. . I continued my Piaget research while getting training in child Clinical Psychology at the Beth Israel Hospital in Boston. From 1969 to 1961 as an assistant professor, I taught child psychology at Wheaton College in Norton MA. While at Wheaton I consulted to a Child Guidance Clinic and continued with my Piagetian research, now extending it to religious and perceptual development. I was still ambivalent as to whether or not to be primarily a clinician and, in 1961-I took positions an assistant Professor in the adolescent unit of UCLA’s Neuropsychiatric Hospital. In 1962 an opportunity to combine my clinical and research interests opened at the University of Denver. So, as Associate Professor, I took over the directorship of the Child Clinical Program of the department of Psychology. I continued my Piagetian research and sent reprints to Piaget. Our year in Geneva effectively ended the clinical phase of my career. When we returned to the US in 1965, I decided to leave clinical work and devote full time to teaching and developmental research. Accordingly, in 1966 I accepted the position as Professor and head of the Child Development Division of the psychology department at the University of Rochester. While there I pursued my Piagetian research, but also had appointments in the departments of Psychiatry and Education. This was my academic period. In the late 1970’s changes in the administration of the U of R, made it politic for me to leave. So in 1978, I accepted a position as Chair of the Child Study Department at Tufts University. 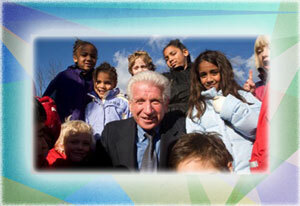 Since my early research I had become very interested in early childhood and early childhood education. and began writing for journals in that area. In 1981, I published The Hurried Child and it became a best seller. This led to a great many media and lecture presentations and to writing books for teachers and parents. I felt I could do more for the cause of children by being an advocate than by doing research. So it was during this period that I divided my time between teaching and being an author/lecturer. I now pursue the latter career on a full time basis. Tell us about Giants in the Nursery. What do you hope the audience takes away after reading this? What got you interested in the history of all of the different giants? I have always been curious about the lives of the people I have studied and admired. In the 1970’s I wrote a number of short biographies of Piaget, Jung, Erikson, Sullivan and Reich for the New York Times Magazine. I really enjoyed doing those pieces and got a deeper understanding of the works of each of these men in the process. When I retired in 2007, I decided that I would like to do a series of biographical sketches of the major figures in early childhood education. I thought both students and teachers would be interested to know more about the people who gave us the philosophical, practical and research and theory foundations for contemporary early childhood education and DAP. For my part, Learning about the lives, sacrifices, and obstacles the Giants encountered and overcame in pursuing their grand ideas gave me a fuller and deeper appreciation of their momentous contributions. I hope it will do the same for the readers of the book. Do you have a favorite giant? Or a favorite quote from one of them? I don’t suppose that anyone who knows of me, or of my work, would be surprised if I said that Piaget was my favorite Giant. All of my research and theoretical work have built upon his enormous contribution. And our personal relationship was always a warm and friendly one. However, I must say that in researching the life of Comenius I developed a deep admiration not only for his contributions but also for him as a person. Of all the giants, he was certainly the most saintly. In that regard I was struck by the similarity between what Comenius and Piaget regarded as the aims of education: Here is Comenius: ‘That is to say that the rational man, shall be guided not be the intellect of other men, but by his own; shall not merely repeat them but shall himself penetrate to the root of things and acquire the habit of genuinely understanding and making use of what he learns. And here is Piaget writing four centuries later: “The principal goal of education is to create men who are capable of doing new things, not simply of repeating what other generations have done men who are creative, inventive and discoverers. The second goal of education is to form minds, which can be critical, can verify, and not accept everything they are offered. The great danger today is of slogans, collective opinions, ready-made trends of thought. We have to be able to resist individually, to criticize, and to distinguish between what is proven and what is not. I have always been a bookworm and while I had, and continue to have, a few close friends I was, and am, somewhat of a loner. As a result, as a young professional, I was socially inept and had to acquire a lot of social skills that would have saved me a lot of embarrassment, and worse, had I acquired them much earlier. I start my day with some Yoga exercises and moderate weight lifting. I write in the mornings and early afternoons. I always have writing projects to work on, book reviews, articles, and new books (am currently compiling articles I wrote for Exchange Press). In the afternoons if weather permits I take long walks for an hour or so. In the late afternoons I do crosswords and cryptograms. In the evenings, when we do not go out, my wife and I enjoy a few TV programs and I usually read for a few hours before going to bed. I don’t have one. I do have a long “thank you list” of family, friends, teachers, and colleagues who have guided and supported me in my journey along life’s way. More than a decade ago I took up pottery and became addicted to working on the wheel. On my birthday a few years ago my sons bought me a kiln and my wife designed a studio for me in the garage. Now I spend what days that I can on the wheel, trimming glazing and firing. I have now graduated to large pieces of five or six pounds. I give most of my work to family and friends. My grandchildren and grandnieces all have their own bowls and mugs from Papa or Uncle David. 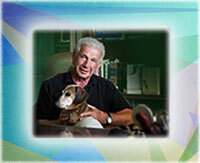 Learn more and see a full list of titles by David Elkind.